Welcome back to my blog! Today I am sharing what was in my November 2016 Play! Box. The theme of this month's box was Best in Glow. The box contained a bunch of products that help you shine and look refreshed. 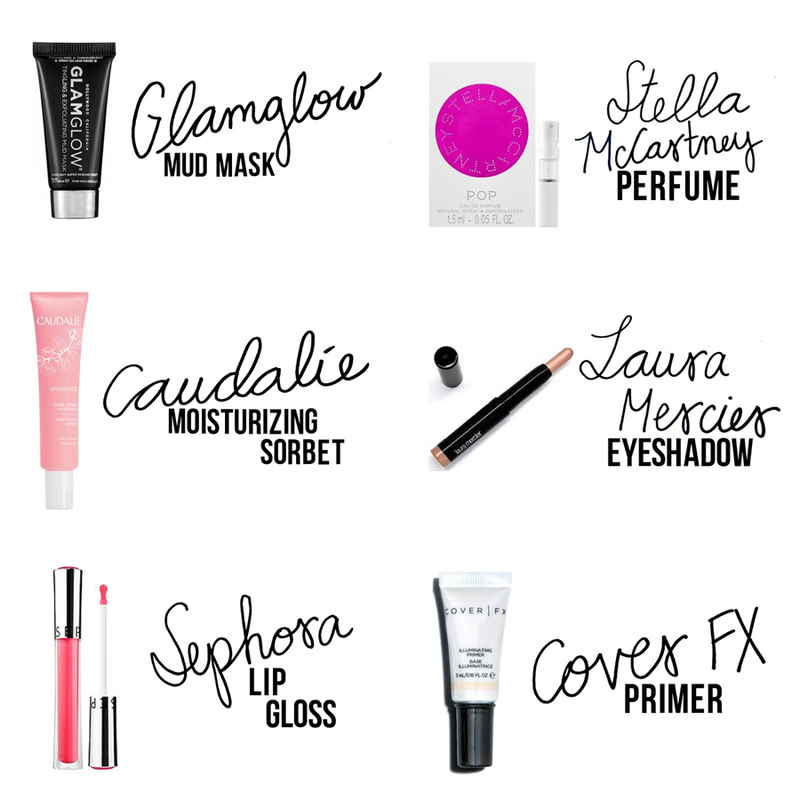 Glamglow Youthmud Mud Mask, Caudalie Moisturizing Sorbet, Sephora Lip Gloss, Stella McCartney Pop Perfume, Laura Mercier Eyeshadow Stick, Cover FX Illuminating Primer.